Some of you guys have had my chocolate chocolate chip avocado cupcakes that I won’t give the recipe to… (insert evil laugh). So, I kind of re-created them in a little different form. Nowwwww…that being said – I threw in a bunch of stuff and of course didn’t measure it, so I’m putting this down as I remember it. 1. If they turn out terrible, I’m sorry. 2. I guess this means I’ll have to make them again and adjust accordingly. 3. I’m not mad about number 2. Mix all of the dry ingredients together and set aside. Cream the bananas and avocado together in a food processor. Add the rest of the wet ingredients and mix well. Slowly add in the dry ingredients and mix well. Pour in as many chocolate chips as you desire and mix in with a spoon. Line or spray your cupcake tin, and spoon evenly. Bake at 350 for 15 minutes or until the muffins are springy and come out clean when you toothpick one! Enjoy heaven in your mouth. You’re welcome. Oh girl! These are so good! I LOVE the texture of baking with avocado!! 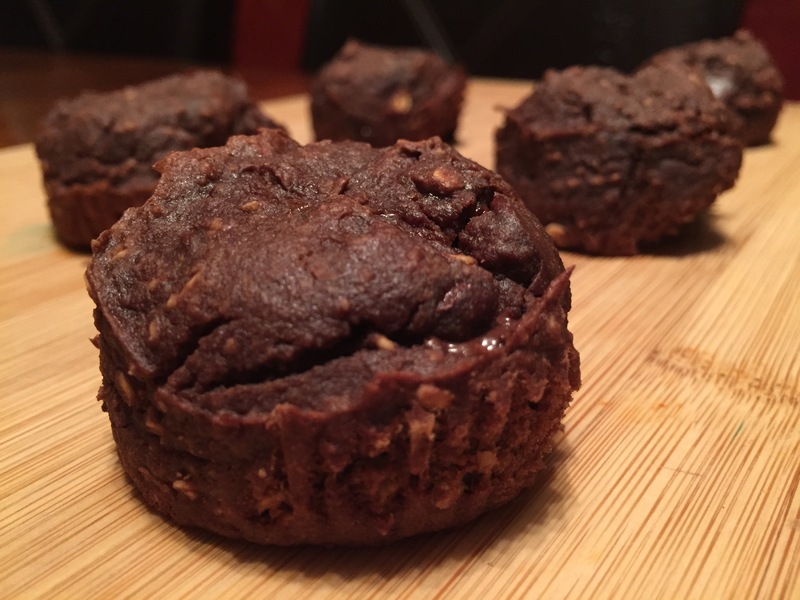 And yes, it’s definitely more of a brownie/cupcake/muffin texture, but oh, so good!!! I’m hoping the recipe is right! I need to try it again to make sure. 🙂 Enjoy!